The first thing that struck me about Vienna was how German it felt. The way it looked, the way it worked. It was organised, it felt safe. Vienna is so royal, the Hapsburgs Royals created a city of palaces and buildings that ooze class, regality and stature. Everywhere you go there is another amazing building with history, dating back hundreds of years waiting to be explored. 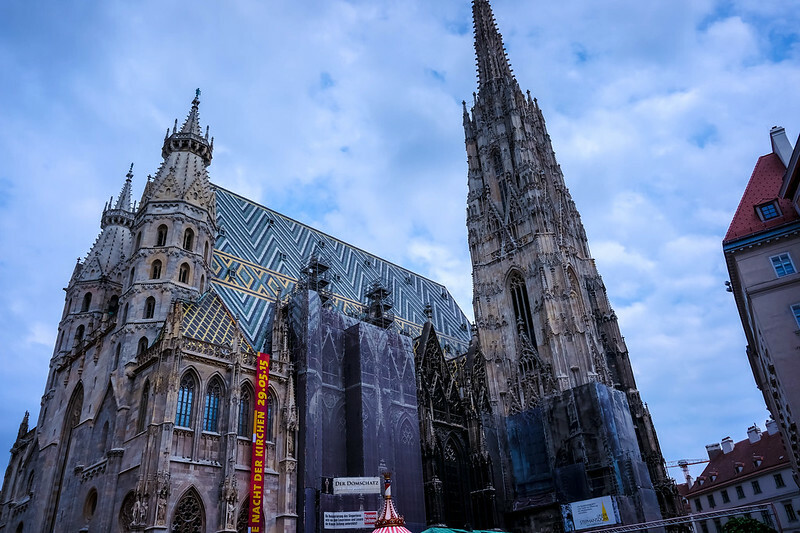 We spent 4 days in Vienna and loved every minute of the time we spent in this amazing city that straddles either side of the mighty Danube River. The Prater Amusement Park is a Vienna institution. The Prater Ferris wheel is easily distinguishable as one of the most recognised symbols of Vienna. The giant Ferris wheel was erected in 1827 and since then generations of Viennese residence plus hoards of tourists have enjoyed the Prater. As well as the Giant Ferris Wheel many attractions such as carousels, halls of mirrors and laughter, ghost trains and roller coasters grace the grounds of The Wurstelprater as the park is still lovingly referred to. The sheer size of the Prater is amazing, think a city block and more. Summer nights find people strolling the fairgrounds, enjoying the attractions, sideshows and food on offer. Talking about food The Prater has 2 specialities that are a must for world food lovers. The Pork Knuckle at The Schweizerhaus beer garden is of legendary proportions and comes served at the 2kg minimum in size and The Langos, a dough speciality of Hungarian origins. This Vienna Amusement Park is not just a fun park, it’s filled with green open spaces filled with walkers and cyclists as well as joggers and riders. Children have fun on the playground, race their BMX’s, roller skate and throw themselves into the sand on the beach volleyball courts. In winter Prater park Vienna has snowmaking machines turn the park into one big snowball fighting arena. Family Travel Tips: Food and drinks were really reasonable so we didn’t really take any from home. The one thing to remember is that you do have to pay to use the toilets there so keep some change on hand! Regal, yes Regal is the word I most closely associated with Vienna. Schonbrunn is the epitome of regal in Vienna. The palace you see now was built and remodelled during the reign of Empress Maria Theresa from 1743. Today this sprawling palace complex, declared a UNESCO World Cultural Heritage site in 1996, is one of Vienna’s most popular attractions. The palace contains 1441 rooms. Tours run throughout the opening hours, you can take the Imperial tour and the Grand tour. The short tour of the regal rooms in the palace which will familiarise you with the opulence of the imperial age and the lives of the Hapsburg royals who lived in the palace. The gardens at the palace are 1.2 kilometres east to west and 1 kilometre north to south. The Garden and park area are free of charge to enter and are popular with walkers and joggers. If you explore the park you should make the walk to the Gloriette on the crest of the hill. It has a viewing platform which exposes the park and a panoramic view of Vienna. Family Travel Tips: The Vienna Zoo is located at Schonbrunn Palace. The Vienna Zoo has the most successful Giant Panda breeding programme outside of China. In the gardens, there is a maze which is fun for both kids and adults to explore. Schonbrunn Palace, Gardens and Zoo require a whole day to explore. 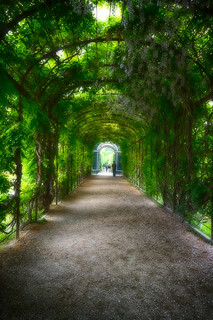 The Belvedere Garden is located in a suburb of Vienna Austria. The complex consists of an Upper Belvedere and a Lower Belvedere. 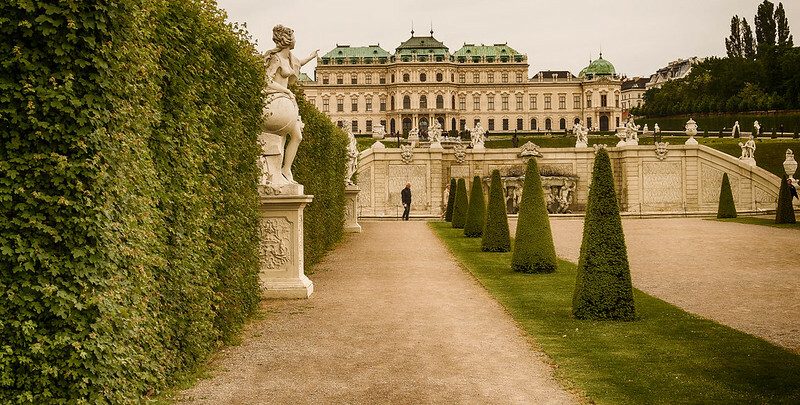 The Belvedere palace and gardens were built during a period of Hapsburg rule. The Hapsburg’s were responsible for a period of extensive construction in Vienna. At the time, Vienna was the Imperial Capital of the Austrian Empire. The building was completed around 1723 and the Belvedere Gardens were opened. There are a contemporary art museum and another gallery which displays a permanent collection of Austrian art. The Palace and Belvedere Gardens were designed by Bavarian garden designer Dominique Girard. The Gardens follow a concept that copies the French design of arranged trees and hedges, sculpture, fountains and cascades. Tours are available for those wanting to visit the inside of the Belvedere. Family Travel Tips: Belvedere Garden is great for the whole family. Our kids enjoyed the sculptures, waterfalls and maze like hedges. Marley enjoyed drawing as you can see! Belvedere Garden is also good on the family budget as it costs nothing for entry to gardens. St Stephans is now one of Vienna’s most recognisable buildings. There have been churches on this site since 1147. The church that tourists flock to and locals pray in was started in 1339. Construction of St Stephans took 65 years. The feature spire on this church stands at 136 metres high. During wars and sieges, the spire served as an observation tower for soldiers guarding against attacks on the city. Up until 1955, the tower was manned every night looking out for fires in the city. The soot from the city over the centuries has darkened the once white exterior of this amazing Vienna monument. St Stephans cathedral has 23 bells that toll at different times for different occasions. One very famous Ludwig Von Beethoven finally discovered his total deafness while in the cathedral when he witnessed birds flying out of the church because of the bells but Beethoven himself could not hear the bells toll. Another famous musician Mozart was married in this church, his children were christened here and his funeral was held here. Mozart served as the music director of the church just prior to his death. The inside of the church contains 18 alters and many chapels. There are tombs, catacombs and crypts in the church. Famous royals from the Hapsburgs dynasty and Bishops are interned in the church. Family Travel Tip: We found taking the girls there after a long day was not the best idea. I felt like I was always saying shhh, shhh to the girls, as I was concerned we were upsetting the locals while they prayed. I would recommend going in one at a time if your kids have had a big day or starting there while they are in good moods. The Hofburg in the city centre house the Imperial Crown Jewels of the Austrian Empire. Relics and treasures from the 10th century through to the 19th century are on display in this permanent exhibition. This exhibition represents over 100 years of European history. The Imperial Treasury is divided into two collections spanning numerous rooms. The collections are the Secular collection and the Ecclesiastical collection. 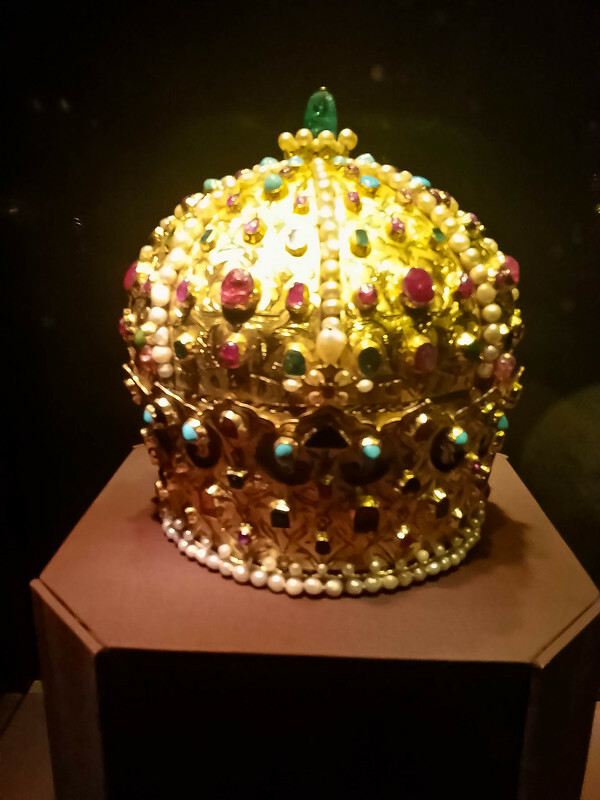 The Secular collection displays Imperial artefacts from the House of Habsburg, including jewels, crowns, orbs and robes. Treasuries were propaganda machines built to legitimise power and wealth. The Ecclesiastical collection contains numerous religious treasures, including relics and objects ascribed to the private ownership of Saints. The collection was amazing we spent over 3 hours looking at the displays. 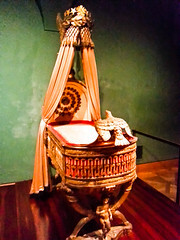 Highlights of the Ecclesiastical collection include The Holy Lance (the lance that was supposed to have pierced Jesus’s side), parts of the true cross, The Imperial Crown of the Holy Roman Empire, The Imperial Crown of the Austrian Empire, The Coronation Robes of the Kingdom of Lombardy and the cradle of the king of Rome just to name a few. The religious relics were a real highlight for me. I am not religious at all but I love religious history and to possibly see tangible artefacts were amazing. The robes, crowns and jewels were amazing. 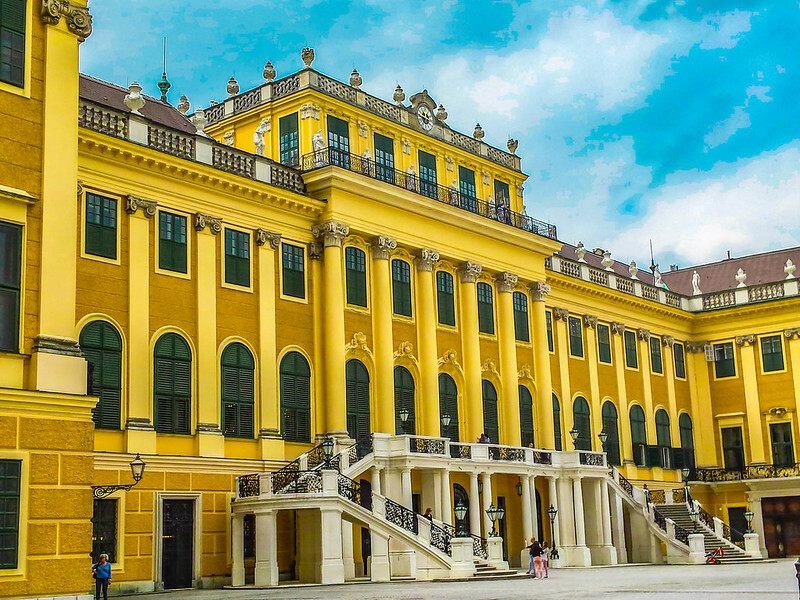 It shows what a privileged and extravagant life these royals lived.This was among our favourite attraction of our 5 things not to miss in Vienna, the history was amazing! Family Travel Tip: There are no food and drink allowed in some sections of the exhibition. We asked the security guards where we were able to give the girls something to drink and they happily helped us. Having the audio guides kept the kids happier as the exhibition is extensive. We hope that you find something of interest in this article and believe me 5 things not miss in Vienna was hard to craft as I could have added plenty more things. There are some amazing restaurants in Vienna that you can read about here. Vienna is one of those cities waiting to be discovered and you just never know what is awaiting you around each corner. Explore further and wider, make sure you see our 5 things not to miss in Vienna. You can check the prices of international flights to Austria with cheapOair. Vienna’s comprehensive and unified public transport network is serviced by trains, trams, buses, the underground (U-Bahn) and the S-Bahn regional trains. Tickets and passes for Wiener Linien services (U-Bahn, trams and buses) can be purchased at U-Bahn stations and on trams and buses. The Vienna City Card entitles you to free public transport and major discounts at over 200 Vienna attractions. For the latest prices check here! The Vienna Hop on hop off sightseeing bus is another great way to get around the city. It will drop you and pick you up at the major sights around town without having to navigate the public transport system. For more information search here! Vienna has accommodation options for every budget from Hostels, to apartments and hotels rooms. Hostels in Vienna can start from as little as 25 Euro a night for a shared dorm room. Hotels in Vienna generally start from around $104.00 a night for a double room 3star and increase incrementally as the luxury rating rises towards the 5-star average price of $257.00. 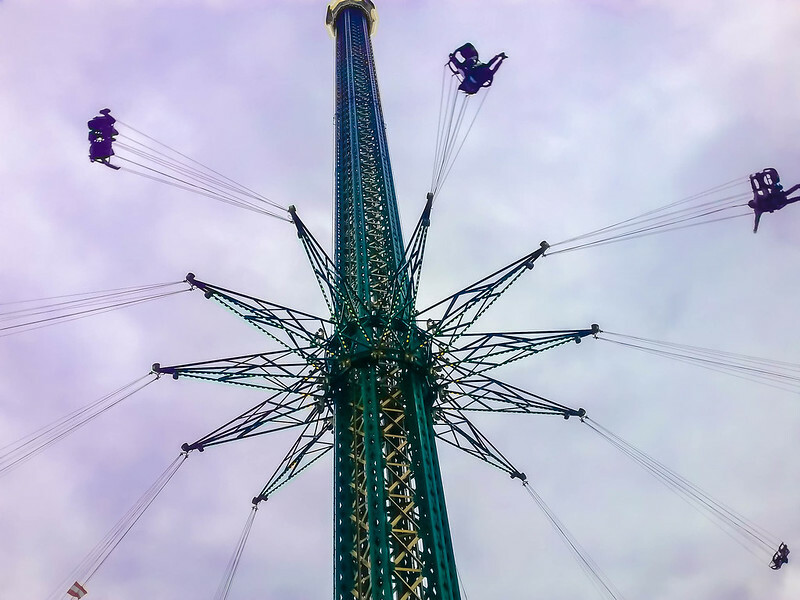 Vienna is pretty high on my list of must-see places and the Prater just made it shoot higher! I love ferris wheels! Schonbrunn is stunning – Hopefully I’ll get to Vienna soon! Looks like a really picturesque city, one of many European Cities I would love to visit! I only went to Vienna on a really short stopover, I wish I had had more time!! Our kids have loved the Prater since there were no lineups, and also it was a nice break from other touristy spots in Vienna. Wow, so basically you go to Vienna and experience the most lavish of all places and then realize how different we live today. That’s so cool. We’re suckers for palace tours. I love Vienna, we went just before I had the kids and took my MIL, its a really accessible city isn’t it. Stunning architecture. Oh the landmarks on your list I’ve only seen Schonbrunn. Managed to do a tour and visit its zoo on my very short trip to Vienna. Would love to go back and explore some more sometime soon. Phew, I’m glad I won’t be the only negative Nancy about Vienna…Thank you LeAnna. I visited Vienna a few months ago and just wasn’t a big fan. The vibe was too snooty and upscale for my tastes. I also found the city to be generally tourist unfriendly, with too few signs even indicating what building I was actually in front of. I did enjoy the visit to Schonbrunn Palace and loved tasting out some cakes, but overall I was glad to move on. I’m glad you and your family had a great time in Vienna. Perhaps one day, I’ll have the time to give it another chance. I had seen so many photos of the Prater and had no idea it was in Vienna as they were mostly stock photos on ads etc how funny to find out! Thanks for sharing! We are heading to Vienna this summer and it’s nice to learn about some of the great things the city has to offer. 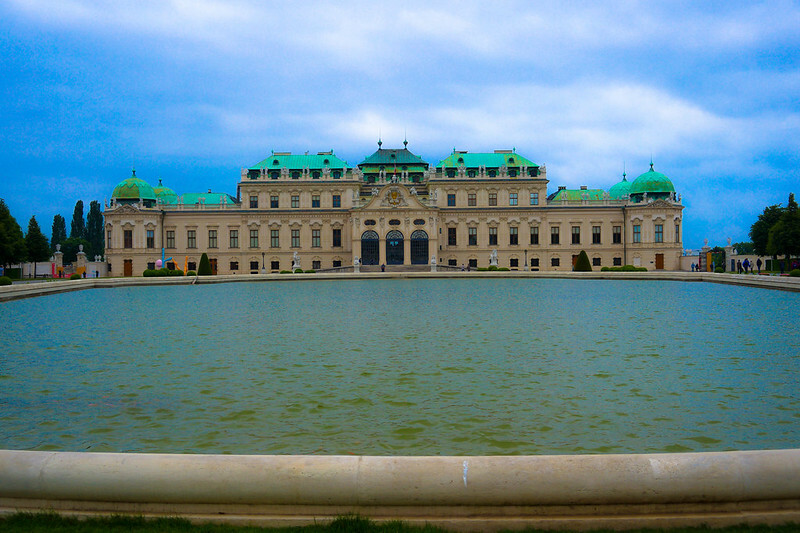 We are hoping to check out the Schonbrunn Palace–I can’t believe how many rooms there are!! The Imperial Treasury also sounds great, as well. We are getting really excited to visit Vienna soon! I had no idea Vienna was so fancy! 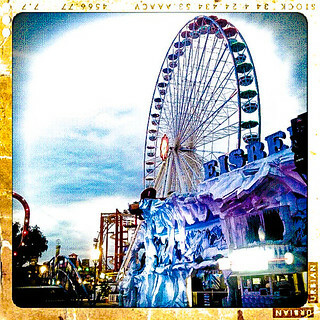 The Prater sounds like a fun place to spend some time. Belvedere Gardens look beautiful, and even better that admission is free! Always wanted to go to Vienna just to go to Schonbrunn. So beautiful, so… yeah as you say regal. I’m sure more so in person. Someday! Great list! I was just in Vienna last year but unfortunately I missed out on visiting The Hofburg. We were there during the Christmas markets and it was magical. Darn, it there goes everything, I wanted to do in Vienna. 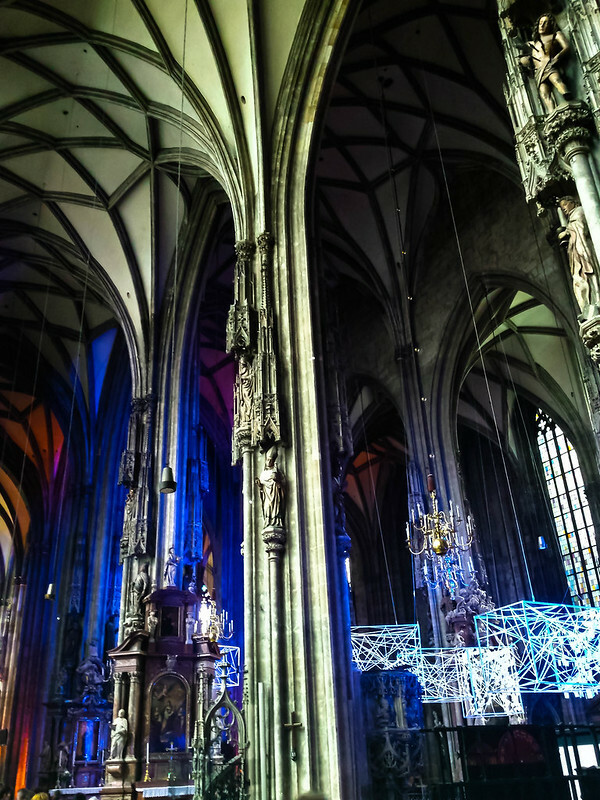 Love the photo of St Stephens Cathedral. I will need to visit it when I head back that way. Somehow it didn’t take my comment. Sorry… so here I try again. I really liked your list about Vienna as an Austrian. Although I was wondering why you thought the city is so German to you? You meant Austrian? Anyways, great tips. Love Vienna. I think its the only where I saw actual wolves in a zoo. Big fierce animals, wolves. And as a fan of the Viennese Secession, I find the city just great. Haven’t taken my girls yet but hopefully, one day! Bookmarking this one for our trip next year!